We would like to hear your views on how we can improve services. You can have your say by becoming part of Dr Shakarchi's Practice Virtual Patient Participation Group. We realise that people are generally very busy and may not have time to come to the practice for meetings. 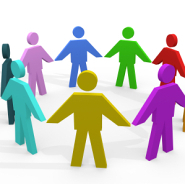 We would like to form a "virtual group" that can exchange views, participate in practice surveys and with whom we can consult from time to time by e-mail. However if you don't have an email address you can still get involved, the only stipulation is that you are a patient at Dr Shakarchi's Practice.